“An image is worth a thousand words” and that’s why we collected 10 of the most beautiful pictures from around the Yucatan Peninsula and the Riviera Maya area to give you an idea of what you can enjoy: Chichen Itza, Holbox, Cancun, Nichupté Lagoon, Isla Mujeres, Playa del Carmen, Tulum, and Bacalar. Some are ours, some are from other passionate travelers, but all are worth seeing and sharing. Holbox in the northern coast of the Yucatan Peninsula: peaceful and unspoiled. Cancun, an aerial view of the all-time travelers paradise in the Mexican Caribbean. Colorful sunset at the busy Hotel Zone in Cancun. Besides the amazing beaches, the Nichupté Lagoon in Cancun is worth visiting. Isla Mujeres, few kms from Cancun is a paradise for snorkeling and scuba diving. Playa del Carmen, with beautiful landscapes and an exquisite relaxed atmosphere. The Bacalar Lagoon, the “Lagoon of the 7 Colors” is amazingly romantic. 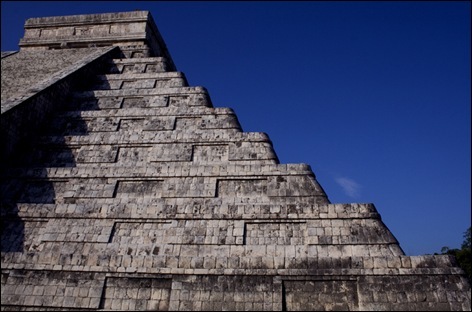 Visit our Yucatan Holidays website and start planning the vacation of a lifetime in Mexico.